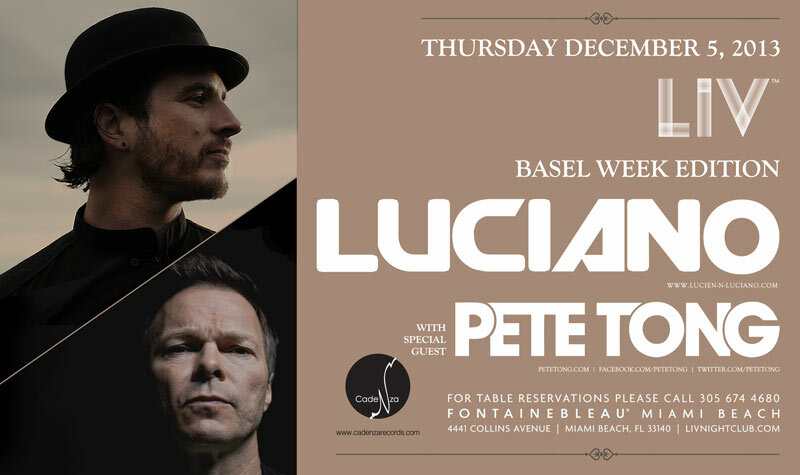 I’m extremely proud to announce a very special gig for me: I’m playing LIV Miami tonight during the Miami Beach Art Basel 2013 Edition. Performing along the legendary Pete Tong, I’ll be part of this unique event where the glittering nightlife of Miami, one of America’s most iconic cities, will embrace the artworld with extraordinary exhibitions at its local museums and galleries. Looking forward to seeing everyone at LIV, a club that has redefined nightlife on Miami Beach with its exclusive appeal, striking architectural design and lavish decor, making this the perfect place to enjoy this one of a kind party! !